A benefit of being Samsung Authorized is that we have access to original Samsung replacement parts (the gold standard) which we exclusively use for repairs on all Galaxy smartphones and tablets. Our expert technicians are trained specifically to disassemble and repair Samsung products. We use special tools to properly seal your Samsung device after a repair. This is especially important when repairing water resistant devices like the Galaxy S5 and S7. 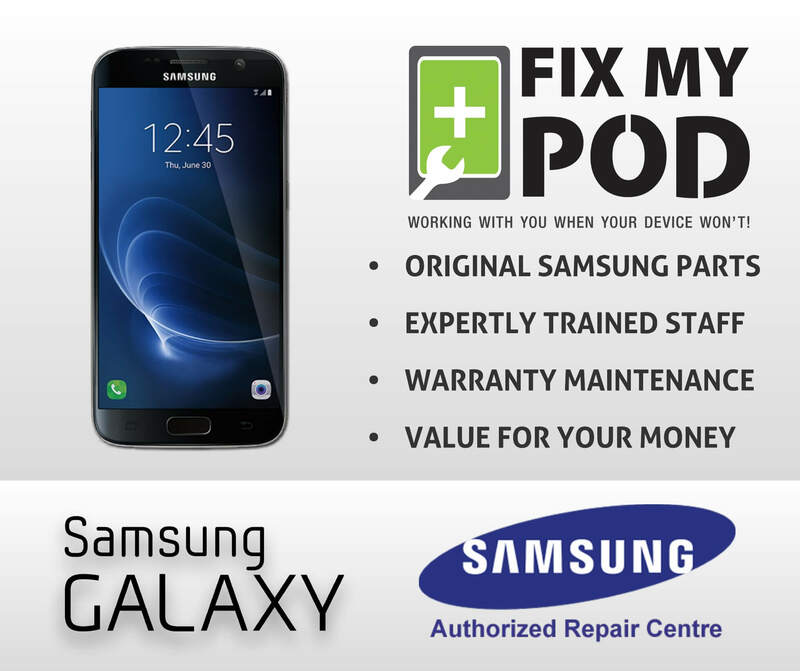 Repairing your Samsung device with FixMyPod means that you continuously maintain your manufacturer’s warranty. This does not renew your warranty but will maintain your existing 1 year manufacturer’s warranty. We add our own 6-month limited warranty on parts and service excluding user related damage such as breakage, excessive heat / cold, or water damage after the repair. Our margins are kept low to maintain competitive prices, giving you the best value in Kingston on your Samsung repair. Walk-ins are welcome. You can also guarantee your spot by calling and booking a one to two hour appointment to have your Galaxy smartphone or tablet repaired. What good is price matching if you’re probably only getting cheap sub-standard parts? As Kingston’s Samsung Authorized Service Centre we only use genuine Samsung parts for all Galaxy repairs. That means you get the best value for your money and Samsung Authorized Service from expertly trained technicians. There is no better place to bring your broken Galaxy smartphone or tablet.